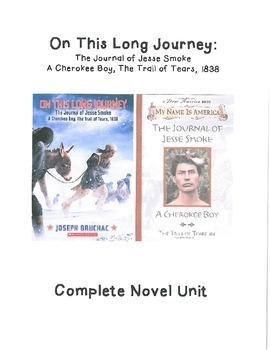 This is a novel unit that goes along with the book "The Journal of Jesse Smoke" by Joseph Bruchac. 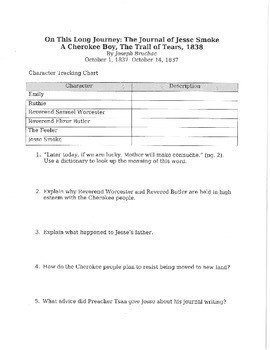 It has been split up by about every 15 pages, and the dates used are listed at the top of each worksheet. 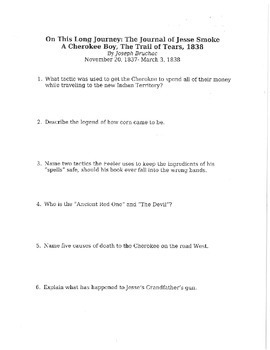 These track characters, recall important details, review vocabulary, and serve as a valid assessment of whether your students understand, or even read, the assigned chapters.